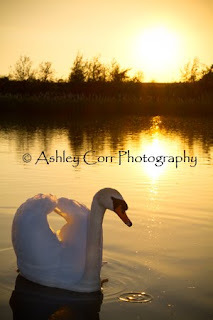 Another brief write up about the local Mute Swans. I wish I had a quid for every swan photo I've taken this year. If I did then I doubt I'd be sittin' here prattling on about these long-necked hissy buggers, that's for sure. But there were no quids folks, so here I am eh, toggling between writing this blog and watching the Italy vs Paraguay match on TV. Another opportunity to throw a few more nature shots your way, folks. There's even a shot of some Canada Geese in flight. Not arf bad for a bog standard lens at some distance away. Rainton Meadows on Pond Two, the location. One Saturday night me and the little fella popped round the meadows and got our eyes well and truly opened when we noticed kids swimming in Pond Two, just yards away from the Mute Swan family. A couple of lads, must have been no older than 16 or 17, with some bikini clad girls! Oh aye, what's gannin' on 'ere then? Not exactly Ibiza but there ya go. Takes all sorts I suppose. Anyway, we were off round the reserve to see what other surprises were in store. Not much to be honest, but who cares, it was a lovely night - there was no breeze and the waters were still. 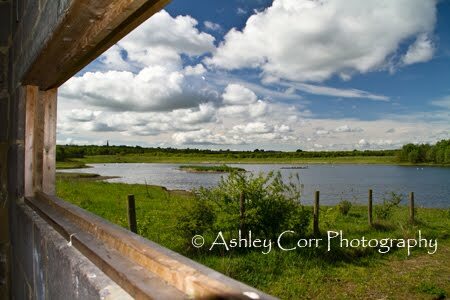 Anyway, a few more photo's from Rainton Meadows. 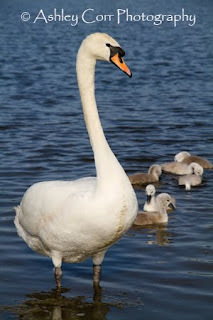 An update on the Mute Swan's at Rainton Meadows nature reserve in Houghton-Le-Spring. There were two nesting pairs this year - one on Pond One at Rainton Meadows and the other across the way at Joe's Pond. 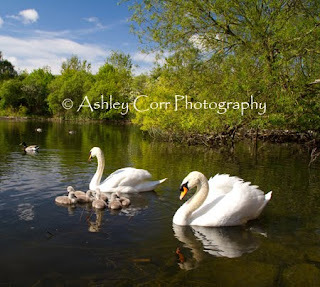 There were eighteen eggs in total but only sixteen of them hatched, as the cygnets could be seen at close quarters on the water. 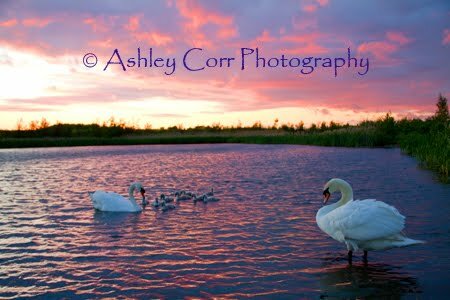 However, the nine cygnets from Pond One were later reduced to eight, with a bit of mystery surrounding the missing chick. Maybe a fox or some other predator was responsible, who knows. Mind you, if it wasn't for the bag of bread I was carrying I probably wouldn't have got near both families to take my photo's. Aye, as I've said before - coaxing the birds with grub is a sure way to get them eating out of yer hand. Not literally though, as the parents are very aggressive and wouldn't think twice about giving you a dig! The sun was setting at around 9.00pm when I took the sunset shots (shown here). A few minutes after the sun went down parts of the the sky turned red, giving the shot a bit of badly needed colour. By this time the bread was gone and so were my hopes of squeezing the last few shots from my opportunity. The swans were off. First of all I'd like to explain why there has been a distinct lack of site updates and blog entries over the last few weeks. No, I haven't been travelling round India, sampling the hottest curries as I went. Mind you, the thought has crossed my mind on many an occasion, he he. I recently invested in a large format Epson printer and I've been doing quite a lot of research into canvas printing. After aquiring all the necessary 'Tools' (canvas, stretcher bars, varnish, electric staple gun, etc) I quickly got to work and produced a few A2 canvases that exceeded all my expectations in the quality department. 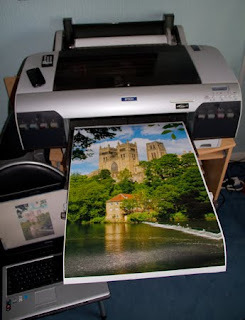 I was surprised at how quickly it took the printer to complete a job on A2 media as well, a little over five minutes! I'm running with genuine Epson K3 ink tanks that weigh in at 110ml each, so they should stretch a fair bit and they're anti-fade for something like 2,000 years, he he. Once printed and varnished, I stretch each canvas over precision cut stretcher bars and staple it into place. The staples are then covered with special finshing tape. That's about it. The finished product is the dog's danglers, aye. 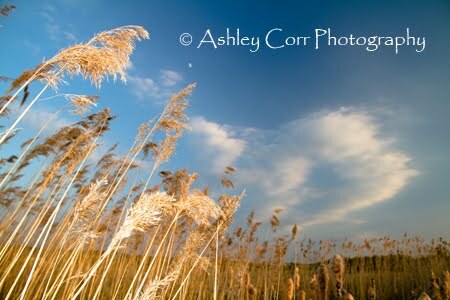 I'm looking forward to printing my first panoramic canvas job. Again it will be 17 in height and something outrageous like 7 feet in length! 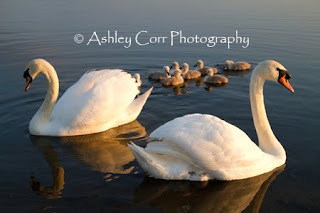 Now that the background stuff is out the way I can now concentrate on updating my galleries and blog. I've got a stack full of new images to move from ye olde hard drive. Liverpool and Chester this weekend folks. Might have a few nice photo's to share during next week, weather permitting of course. Until then, hang in there.